Maytag, JennAir, Amana Fridge Filters There are 15 products. Maytag, JennAir, Amana FRIDGE FILTERS AUSTRALIA PuriClean UKF7003AXX, UKF7003, UKF7003P, WF040, UKF7001AXX, UKF7002AXX, UKF5001AXX, UKF7001AXX, UKF7002AXX, UKF6001AXX & UKF5001AXX, UKF7003AWF, UKF8001AXX, UKF8001, 12589201, 12589203, 12589206, 12589208, 12589210, 9005, 9006, 469005, 469006, 46-9005, 46-9006, 4396395, 8171032, 8171249, WF50, OWF50, WF51, OWF51, WF50-NI300, OWF50-NI300, WF50-KNI300, WF50-NI500, OWF50-WI500, WF-WI500, WF50-KWI500, 67002269, 67002671, 67003523, 67003526, 67003527, 67003528, DA2010CB. When it is time to replace your Maytag, JennAir, Amana refrigerator water filter, Water Filter For Fridge is the perfect Maytag, JennAir, Amana refrigerator filter replacement part shopping solution. Here at Water Filters for Fridge, you can find the Maytag, JennAir, Amana water filter replacement that you need at a price that you can easily afford. Our selection of Maytag, JennAir, Amana refrigerator water filter replacement components includes both Maytag, JennAir, Amana water filter replacement parts and generic brands that fit well with Maytag, JennAir, Amana refrigerators. Whether you choose an official Maytag, JennAir, Amana refrigerator water filter replacement or one that has been generically designed for several refrigerator brands, you can always be confident that you are getting a filter that will last for a long time and deliver excellent results year after year. Our refrigerator filter specialists make sure that we stock only the best Maytag, JennAir, Amana refrigerator water filter parts, and that is why you can order for your fridge from us with confidence. 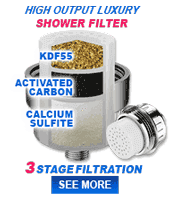 Because of our bulk purchasing arrangements with Maytag, JennAir, Amana refrigerator water filter manufacturers, we get a great discount on every filter that we order, a discount that we pass on to you in the form of lower prices for every Maytag, JennAir, Amana water filter replacement that we carry. Coupled with our renowned customer service and $7 flat rate shipping Australia wide, it is easy to see why so many trust us when they need to order filters for their Maytag, JennAir, Amana refrigerator. You want not only low prices but excellent service, and that is what we promise to provide every time you order a Maytag, JennAir, Amana water filter replacement or other part from our extensive catalog. We look forward to the opportunity to serve you today, and we invite you to contact us if you have any questions about your Maytag, JennAir, Amana water filter replacement or other water system component. You can also click on any Maytag, JennAir, Amana water filter on this page to get more specifications on it. Water Filter for Fridge has a large range of fridge filters available at the best price that suit almost all fridges available. 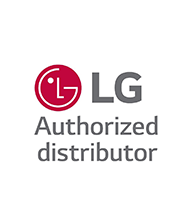 Water Filter for Fridge stocks replacement filters for leading refrigerators including LG, Miele, Maytag, JennAir, Amana, Samsung, Kleenmaid, Daewoo, Bosch, GE, Westinghouse, Samsung, Electrolux, Fisher &Paykel and Whirlpool. We are the leaders in fridge filters, supplying only quality original and Korean made generic filters. Some of our filter models include Aqua Blue H2O, Clean & Clear, PuriClean II, Cuno, 3M, GE Smartwater, Eco Aqua, Water Sentinel and many more. If you are looking for a fridge filter then you have come to the right place. Remember your fridge is an important asset, therefore it is recommended that you replace your fridge filter every six months or when the change filter light comes on.